This year’s World Cup of Netball drew to a close in Sydney this Sunday 16th August. The Australian Diamonds once again proved their dominance, besting long time rival the New Zealand Silver Ferns in the finals and holding on to the championship for the 3rd consecutive year. Grand Slam Sports Equipment, being the leading manufacturer of high-end netball posts, supplied the netball goals for the prestigious quadrennial championship tournament. The only thing that remained constant during the whirlwind competition was Grand Slam Sport Equipment’s durability and commitment to quality, whose netball posts withstood even the most intense of games. 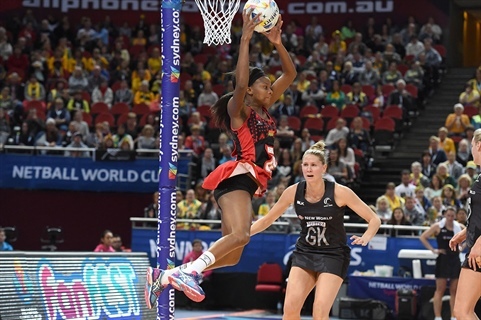 The Netball World Cup is another proud addition to Grand Slam Sports Equipment’s notable list of high-profile events they’ve supplied equipment for, including events such as the Sydney Olympics, the South Pacific Games in Fiji, as well as the Melbourne Commonwealth Games. With 30 years of experience in the sports industry Grand Slam imposes strict product testing and quality control on each piece of equipment in their assembly to meet the highest of standards. Grand Slam’s industrial strength netball posts are engineered to provide the utmost reliability and to comply with gaming standards and regulations. They offer top-of-the-line class A indoor and outdoor netball posts for both professional and personal use. Grand Slam Sports Equipment takes pride in focusing on the details to ensure all of their sports equipment is fit per the official industry specifications. Grand Slam is the leading supplier and manufacturer of professional-grade sports equipment in Australia as well as overseas. Each piece of their equipment incorporates industrial galvanized steel, engineered for optimal strength, durability, and reliability in order to meet even the most demanding international standards. All of Grand Slam’s outdoor equipment have been tried and tested to withstand the most extreme weather conditions, with maximum grade durability to endure the strain of rough handling for years on end with minimum maintenance. Grand Slam’s team is composed of highly efficient professional engineers, architects, and builders, who strive to ensure and provide superior service, installation, and satisfaction to the customer. For more information, please call 1800 773 461, email sales@grand-slam.com.au or Request an Online Quote for netball posts.